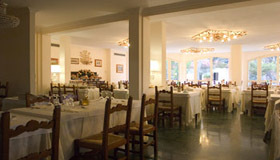 Hotels in Italy, Tuscany by the sea, Italian Language Schools and Language Courses in Italy. 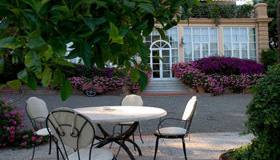 Just few steps from the sea and steeped in vegetation, Hotel Atlantico rises in the center of Castiglioncello, the renowned and charming holiday resort situated in the “Riviera degli Etruschi”, on the Tyrrhenian coastline to the south of Livorno. 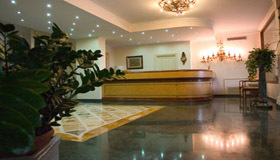 This elegant hotel offers in every item a perfect combination between professional experience, class and hospitality. The elegance and style of the outside both reflect in the hall – where the reception is located – which makes you already feel the warmth of the managers, giving you the certitude of spending your holiday in a family hotel. Apart from the other rooms of the hotel, the hall leads to two cosy lounges, one of which is larger and furnished with a dainty and well-fitted bar, comfortable armchairs and sofas to snuggle into for moments of relaxation, or for having a chat, reading, or simply watching TV. The bedrooms of the hotel are airy, light and equipped with every comfort: from air-conditioning, private bathroom, hair dryer and telephone, to satellite TV programs and minibar. 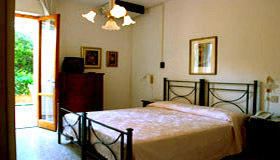 Many rooms also have their own balcony, where beautiful and evocative landscapes can be admired. 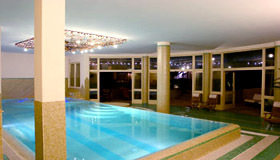 If you wish, there is a lift available to reach all the other storeys of the hotel. 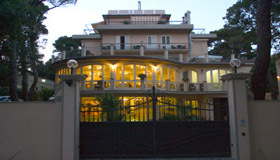 Walking distance to the to Via Demi 5 (Pasolini language school) is about 10 minutes.